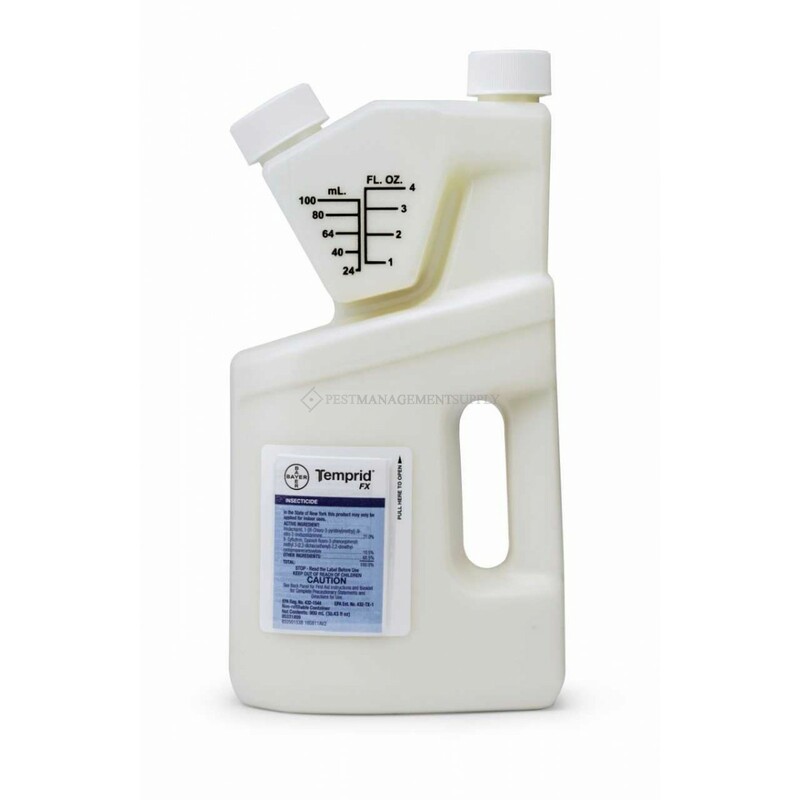 Temprid FX combines the powerful, co-milled, dual-active formulayou trust for knockdown and long-lasting control of hard-to-killpests with a new, flexible label that delivers even more value.This strength and flexibility gives you the added confidence totake on the toughest jobs, including notoriously hard-to-killpests, like bed bugs, scorpions and spiders. Exceptional strength and flexibility for knockdown and long-lasting control of hard-to-kill pests. 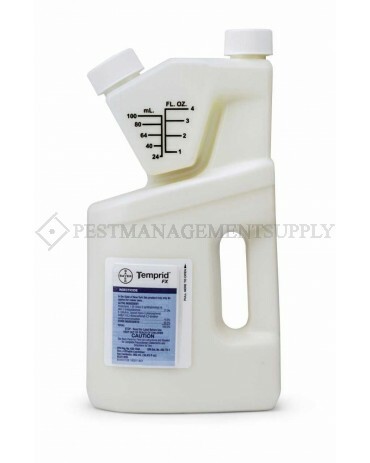 Powerful, broad-spectrum insecticide that controls over 50 pests Can be applied indoors and outdoors, including foliar applications on non-blooming plants Proven to reduce callbacks by over 50%* Effective against key public health pests (including mosquitoes, ticks, etc.) that may transmit various diseases and viruses Enhanced label directions for providing excellent control of scorpions Also ideal for use on occasional invaders Provides contact activity and systemic action * Bayer PMP Callback Studies, 2007-2009 Pests controlled Indoor pests: Ants, bedbugs, boxelder bugs, carpet beetles, centipedes, clothes moths, cockroaches, crickets, firebrats, flies, millipedes, pillbugs, silverfish, sow bugs, spiders Outdoor/perimeter pests: Ants, boxelder bugs, carpenter ants, centipedes, cockroaches, crickets, earwigs, fire ants, fleas, flies, gnats, ground beetles, hornets, mosquitoes, moths, multicolored Asian lady beetles, scorpions, spiders, ticks, yellow jackets Wood-infesting pests: Beetles, carpenter ants, carpenter bees, drywood termites Please see the product label for a full list of pests.